Finland: The 17th Indigenous film festival “Skábmagovat” will turn its spotlight on the production of the Indigenous nations of Latin America. 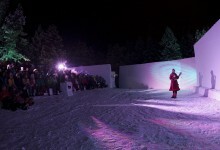 The festival will be held in Inari, Finland on January the 22 to 26 of 2015. 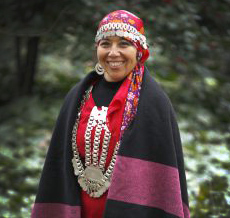 Mapuche director Jeannette Paillán (Chile) will be the special guest of the festival. Mrs. Paillán is a founding member of CLACPI, an organization that coordinates and promote Indigenous video and film material. She is also the head of the biggest Indigenous film festival in South America. Last January, she was granted the highly valued Bartolomé de las Casas prize from Spain for the work she has done for the Indigenous nations of the America’s. 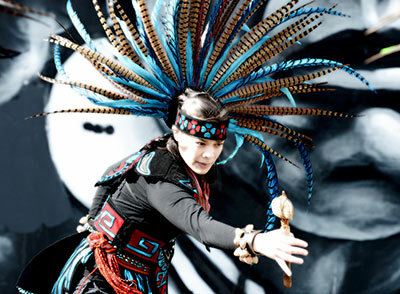 The Skábmagovat festival offers visual images from Peru, Ecuador, Panama, Brazil, etc. The themes range from the everyday lives of Quechuan villages in Peru to the fight of Ecuadorian Kichwa for their lands. Skábmagovat festival also offers the audience a wide armchair trip from New Zealand to the Inuit regions of Canada and from the Yakutian wilds of Russia to the fells of the Land of the Sámi. Stories are told in more than 20 languages. The program includes two fine sets of short films: one produced by the Film Lab of the International Sámi Film Centre ISF in Norway, and one that consists of films created in the youth workshops of Wapikoni Mobile, a touring studio that has operated in Quebec, Canada, already for 10 years. Harry Johansen’s documentary Colors and Life shows a Sámi man’s will to rise from the depths of alcoholism and become an artist. Når speilbildet lyver (With the Mirror Image Lying) by Niels Ovllá Dunfjell deals with the issue of gender change in the Sámi community. The Skábmagovat Film Festival is arranged by the Friends of Sámi Art in cooperation with the Sámi Museum and Nature Center Siida, the Indigenous Peoples’ Film Center Skábma, the Sámi Education Institute and YLE Sápmi.